The initial batch of phones running Android Go has been... not great. As it turns out, hardware that wouldn't be out of place in 2010 doesn't make for a great smartphone experience in 2018. Seemingly out of nowhere, ASUS announced its first Android Go phone today, and it appears to be a decent product - at least on paper. The ZenFone Live is powered by a Snapdragon 425 processor, which is slightly faster than the low-end MediaTek chips that most Go devices have been using. There's still only 1GB of RAM, since that's the maximum for using Android Go. Other specifications include a 5.5-inch 18:9 720p IPS screen, 16GB of expandable storage, a 3,000mAh battery, an 8MP back camera, a 5MP front camera, and dual-SIM support. It's running Android 8.1 Go Edition, but with ASUS ZenUI on top (ugh). The ZenFone Live is available right now from Best Buy's website, for the low price of $109.99. ASUS says it will be sold at select Best Buy stores at a later date. Fremont, CA (August 5, 2018) - ASUS today announced ZenFone Live (L1), a compact 5.5-inch entertainment-focused smartphone that's designed to put the fun back into mobile lifestyles. ZenFone Live features an 5.5-inch Full View 18:9 display in an amazingly compact body that's as small as many 5-inch phones, offering an immersive cinema-like entertainment experience in a comfortable-to-hold form factor. The high-capacity 3000mAh battery now gives users more mobile freedom than ever, giving them all-day standby with extended talk times and the ability to enjoy their music or videos for longer. It's also equipped with up to a 8MP rear camera with phase-detection autofocus (PDAF) and a high-quality five-element lens2, allowing users to capture amazing and memorable moments. 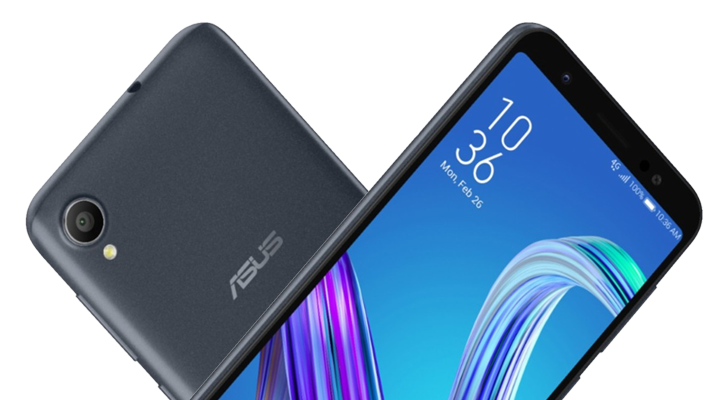 The pocket-friendly 5.5-inch ZenFone Live is just as small and compact as many standard 5-inch phones, something made possibly by its big and bright ASUS Full View HD+ display. This has ultraslim side bezels and an 18:9 aspect ratio that not only make it bigger, wider, clearer, and brighter (up to 400 nits), but also allow it to fit in a much smaller frame than a standard display. The result is more screen with less bulk, providing users with an immersive cinema-like experience in a lightweight body that's truly comfortable to hold. At the rear is up to a super-sharp 8MP main camera with a 0.3-second PDAF focusing system, so ZenFone Live is always on hand to capture life's magic moments — even the fastest-moving ones. A high-quality five-element lens ensures bright, crisp and clear pictures in any situation. With ZenFone Live, users don't need to carry two separate phones: its handy triple-slot tray takes two 4G LTE SIM cards², and there's also a microSD card slot supporting up to 2TB of extra storage. With this great feature, users can have two different phone numbers, and add as much storage as they need for their music, photos, videos and other personal stuff.